WAKE UP WITH A SMILE ON YOUR FACE IN THIS IMMACULATE LIGHT, AND SPACIOUS HOME. 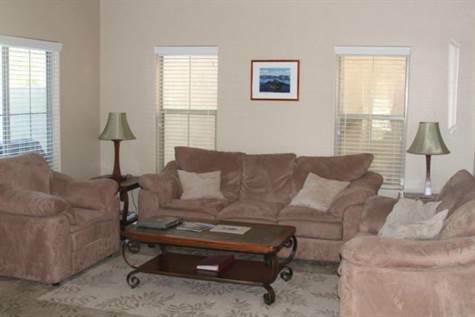 LOCATED ON A GRASSY AREA WITHIN THE SOUGHT AFTER PASEO COMMUNITY WITH IN ANTHEM. HOME FEATURES INCLUDE EXTENSIVE 18 INCH TILE ON THE DIAGNOL, MAPLE CAABINETS, WINDOW OVER THE SINK, SMOOTH TOP RANGE, WOOD BLINDS, CEILING FANS, CUSTOM PAINT AND SO MUCH MORE..THESE ARE SINGLE FAMILY DETACHED HOMES WITH A PATIO (NO YARD MAINTENANCE)..WITHIN WALKING DISTANCE OF PARK, SHOPPING, DINING, LIBRARY & HIGH SCHOOL.